Free EMBER Novella Help for Readers! 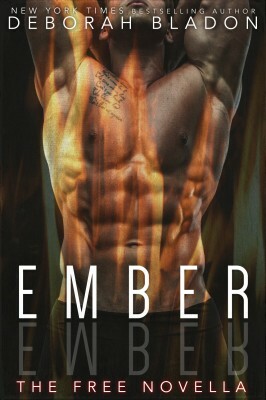 The EMBER Free Novella has arrived! You all so graciously embraced Dane and Bridget’s story. I wanted to thank you by offering you a small glimpse into their lives after they return to New York from Paris. I have made the novella available for readers here. If you’d like to read this novella on your NOOK or Kobo, please click here to access the PDF file of the novella. Once the file opens, save it to your computer. Locate the ‘my documents’ folder on your device. Drag and drop the file from your computer to the folder. When the file has been added to your device, click on the title to open the file. You can also read the entire novella by clicking here. I really enjoy all your books I have read so far. Can’t get it to download to my kindle!!! I’ll keep trying tho!! I love your books and have read a lot of them. Really hope I can townload this last one from the Ember series!! trying to get the free novella to read more about Dane and Bridgette…..and the little one coming! Thank you so much for this novella. I can’t wait for the release of Haze. It has been a privilege to reed all your books. I was so excited to see I had new book of yours. Thank you so much.